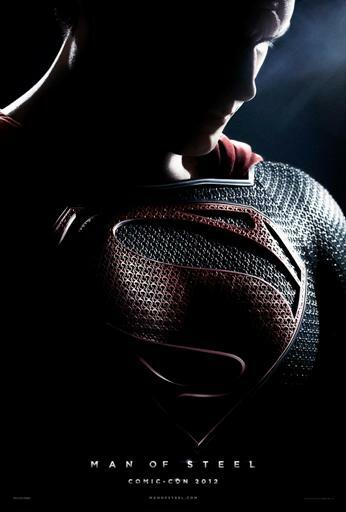 Last week, two teaser trailers were released for Man of Steel, the upcoming Superman reboot staring Harvey Cavill (Tudors, Immortals) and helmed by the comic-book experienced director Zach Synder (300, Watchmen) and scribes David Goyer (Blade films, Dark Knight, Dark Knight Rises) and Christopher Nolan (Momento, Inception, the Dark Knight trilogy). The interesting thing about the teasers--besides their Terrence Malik-like cinematography--is that both feature the exact same imagery but the voice-overs are different: one is by Clark's adoptive human father Jonathan Kent (Kevin Kostner) and the other by his biological Kryptonian father Jor-El (Russel Crowe). As Anthony Breznician noted at EW's Insider, the contrast between the two men's words "offers sharply different points of view." And that gives us some hints of where the themes in this reboot are headed. Breznician points out that the "striking thing in Pa Kent’s speech is the fact that he doesn’t consider 'good-guy' to be a done deal. It’s fitting that the more human of Superman’s fathers is also the one most keenly aware of the powerful draw toward selfishness." Messianic themes are no stranger to Superman films or stories, some of which have been explored on this blog. And, in the context of the noted lonely or outsider flavor of the images and scenes in the teaser and Comic-Con footage, perhaps this first installment will be a kind of wilderness experience for Clark before he fully enters his role as Superman. Breznician suggests the contrasting points of view are ones of choice versus fate, but I wonder if they might be centered more on perspective or angle than philosophies--one being limited and the other having a larger scope or knowledge. Either way, I am intrigued by the trailers and Snyder's use of Malik-like imagery. It speaks to a deeper and more thoughtful approach to the origin story than we've seen before.